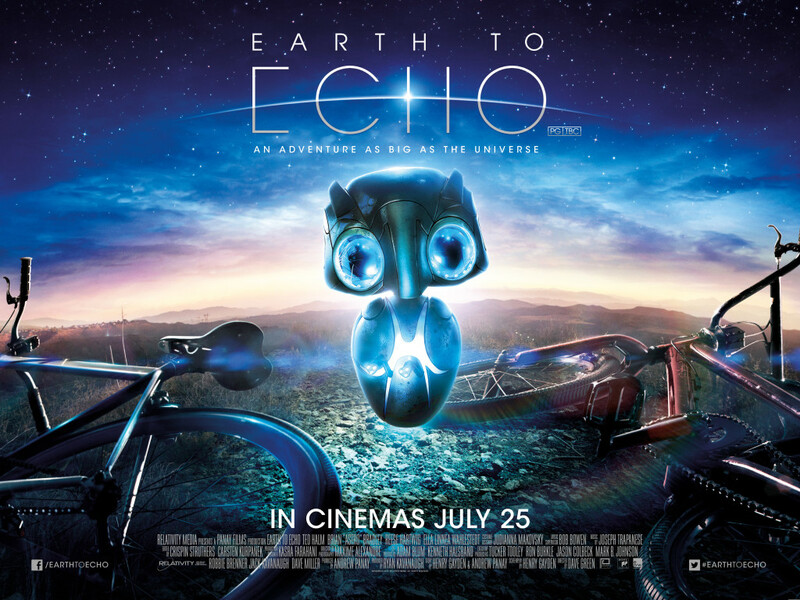 Earth to Echo is a film that exhibits what it really means to be a friend. Can distance or circumstance separate real friends? In the spirit of amateur filmmaking (constant shaking and quick pans that make your head hurt and your stomach queasy), we see the world, or at least part of Nevada, through the eyes of three, middle school aged, close friends, and a mysterious watcher. Munch (Reese Hartwig) is a hyper, brainiac/hypochondriac. Alex (Teo Halm) is a foster child that is used to being left behind. Tuck (Astro) is Mr. Storyteller who has a camera glued to him at all times. Munch, Alex, and Tuck are faced with mass eviction of their neighborhood for the construction of a complex series of highways. Suddenly and simultaneously, their cell phones start to display what appears to be a distorted image. With the curiosity of children, they discover the image is map. The boys decide to follow the map and pull the classic “I’m staying the night over a friend’s house” excuse to evade the notice of their absentee parents. Munch is a techie of the highest nerd status. He devises a transfer configuration so that whichever of the three’s mother calls, they all ring to his cell phone. Brilliant cover-up, if only Munch hadn’t freaked out. Thus their journey begins on their last night together in Mulberry Wood, Nevada. The map leads the trio to a crashed mechanical alien that is, in a word, adorable. Due to its mimic mode of communication, the boys name the alien Echo. 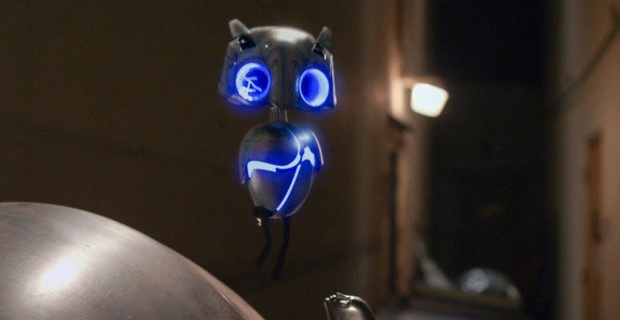 Echo is reminiscent of Bubo from Clash of the Titans or Eve from Wall-E. Just like Bubo communicated through whistles and clicks, Echo communicates through beeps and tones. Echo has an appearance similar to Eve’s appearance with her smooth oblong shape. Echo is so sweet, cute, and small enough to fit in a child’s hand that it easily understandable for a close bond to be developed between it and the boys, especially Alex. Alex is the first to establish communication with Echo. You know, beep once for yes and twice for no. This communication is developed further with the arrival of the boys’ secret crush, Emma (Ella Wahlestedt), aka “Mannequin Girl.” Emma discovers that Echo’s vessel is a key to his much larger spaceship, which the boys are unknowingly helping assemble. 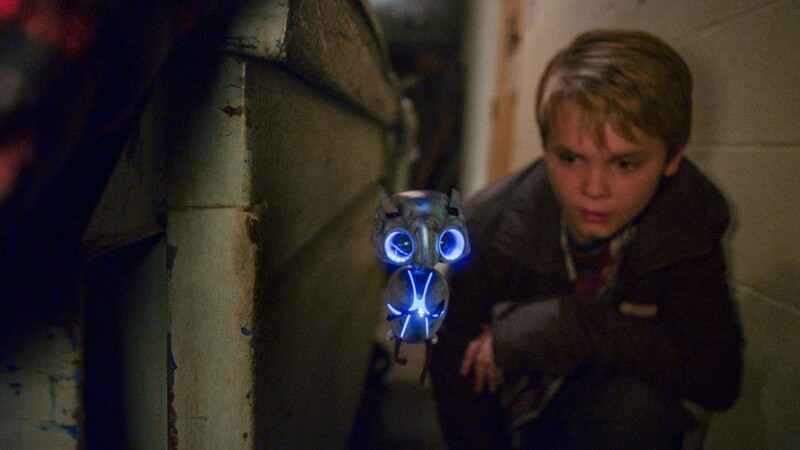 Earth to Echo is a cute family film, but the handheld camera perspective is overdone. First shown in the Blair Witch Project, Saving Private Ryan, and later Chronicle (another film about three teenage boys that obtain powers from a meteorite) among others, this technique is an acquired taste. It personally gave me a headache and nausea. Be on your guard. A wonderful special effect that was also familiar. As the boys are driving down the road in a stolen vehicle, they drive through an 18-wheeler. In The Covenant, a Ford Mustang disassembles to drive through an 18-wheeler and reassembles on the other end. In Earth to Echo, the 18-wheeler disassembles as the vehicle drives through and reassembles afterward. Nice flip from its predecessor. Aside from some moments that drag on, Earth to Echo is an ok film. The kiddos will enjoy and there are a few funny spots. Good idea, somewhat poor execution. The child actors’ performances were solid. I would have liked to see Echo do more in the film. This entry was posted on Wednesday, July 2nd, 2014 at 9:28 am	and is filed under Film, News. You can follow any responses to this entry through the RSS 2.0 feed. You can skip to the end and leave a response. Pinging is currently not allowed. « It’s Official – ‘Sherlock’ is Coming Back With A Special and Three New Episodes! !